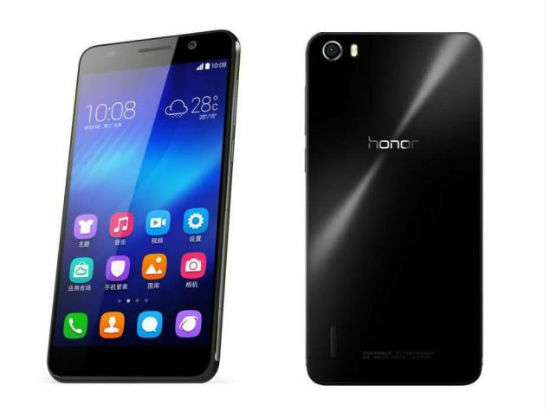 China based tech manufacturer Huawei has announced the launch of the Honor 6 smartphone in India for Rs 19,999. The device has impressive specifications that can make it a competitor to the latest octa-core entrants in the market and here is a quick review on the same to analyze its capabilities. The primary camera is a 13 MP unit with auto focus, dual LED flash, HDR and support to Full HD video recording. At the front, there is a 5 MP fixed focus camera that can snap modest self portrait shots. With the dual LED flash at the back, we can expect the handset to render exceptional low light performance with great levels of details. Internal storage is ample at 16 GB and it can be further extended by another 64 GB using micro SD card. On the whole, this storage should be enough for the users to store the necessary content and we do not have any complaints regarding the handset in this regard. The processor used in the smartphone is a the firm’s HiSilicon Kirin 920 octa-core processor that is assisted by Mali-T628 MP6 graphics unit and 3 GB of RAM that will meet the user’s graphic handling and multi-tasking requirements. With these hardware aspects, we can expect the Huawei smartphone to compete with the likes of the high-end devices in the market. Huawei Honor 6 is given a juicy 3,100 mAh battery that would undoubtedly let the smartphone last for a day under mixed usage making it on par with its premium rivals. The display sounds impressive measuring 5 inches and boasting of FHD 1920×1080 pixel resolution that will translate to a pixel density of 441 pixels per inch. Being an IPS LCD panel, the screen will definitely be capable of rendering decent viewing angles and color reproduction. Running on Android 4.4.2 KitKat platform, the Huawei smartphone is topped with Emotion UI 2.3 interface that should be capable of rendering decent user experience. Besides these aspects, the device comes with Dolby Digital Plus sound enhancement as well. The Huawei Honor 6 should be a great rival for the other similar offerings including Gionee Elife S5.5, Karbonn Titanium Octane Plus, Micromax Canvas Knight, HTC Desire 816 and others. The Huawei Honor 6 smartphone is a great smartphone that comes with decent specifications for its pricing of Rs 19,999. The handset should be a great alternative for those who are not willing to shed too much money to buy flagship models that are usually heftily priced. Of course, there are cheaper models that are available, but this one comes with a great hardware for its pricing.